I have to think a little more about my review!!! I'm still recovering from this mind-blowing book!!! Sigh... This is an extraordinary book. 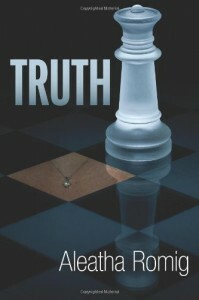 I loved CONSEQUENCIES, but TRUTH exceeded my expectations!!! Yes, I was expecting Claire and Tony to stay together, they were in love... but the mystery, the suspense and all of those turns, were absolutely amazing!!!!! The characters are great and the plot excellent!!! Hope the third book confirms everything that I'm expecting for Tony and Claire, and that they may be released from that turbulent past. I want CONVICTED for yesterday!!!!!!!!!!!!!! !